There are around 40 resources collected. They are mainly on teaching resources. There are around 60 resources collected. 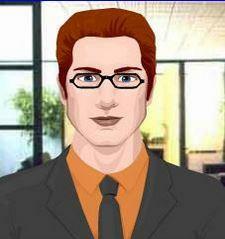 They are mainly for teaching resources and teachers of English as a foreign language. 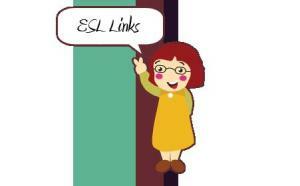 There are around 130 websites collected for English learning. There are over 200 websites collected. However, only half of them are related to English learning. There are around 80 resources collected. They are mainly for teaching resources. There are around 60 resources collected. They are mainly on teaching resources. 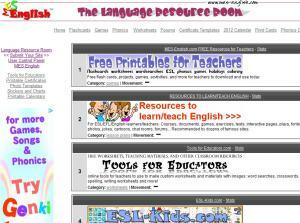 There are around 40 websites collected for learning or teaching English. 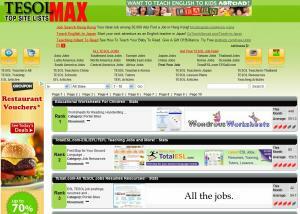 There are around 40 websites collected for learning English. 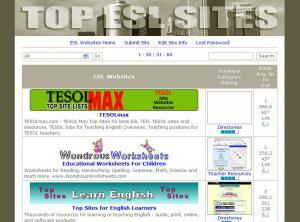 A great website that covers a wide range of topics, and offers a selection of different vocabulary, listening, reading, writing, grammar tests and conversation exercises for each of them. 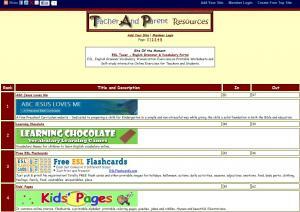 A great directory for teachers and educators looking to use biographies in their lessons. 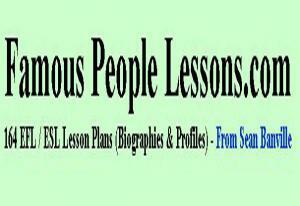 Each Lesson plan includes a transcript and optional downloads (Word Doc, PDF, MP3 Listening and an Online Exercise). There are over 10 different exercises all based on the transcript, as well as group extension projects and homework ideas. 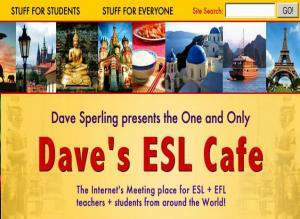 The Internet's Meeting Place for ESL & EFL teachers and students from around the World! See what other students are finding difficult, and help each other out while making new friends, all learning English together. This is a great page with loads of resources to help with public Speaking including a list of Apps to Help With Public Speaking that are all available to download for home computers and mobile devices, Public Speaking Websites, Resources to Help With Fear of Public Speaking and Additional Resources for Public Speakers. 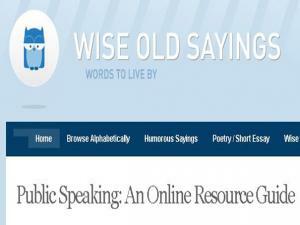 There is even a Browse Quote and Saying Categories section at the end for extra ideas to add to your speech. 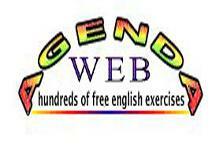 Hundreds of free exercises to learn English online: grammar exercises, verbs exercises,songs, vocabulary activities, listening, reading, videos, phonetics, movies, grammar worksheets, flashcards and dictionaries. 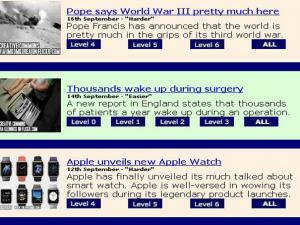 Using current events, news stories and reports, Breaking News English is a fantastic website offering Free, ready-to-use EFL / ESL lesson plans on the latest breaking news -in 7 levels. New lessons are uploaded every 2 days and each lesson includes a 26-page PDF containing all-skills activities, a 2-page mini-lesson, 5-speed listening, multi-speed scrolled reading, interactive dictation, 30+ online quizzes... and more. This is a free English as a Second Language website, aimed at providing a starting point for ESL / EFL learners who want to study English through the Web. 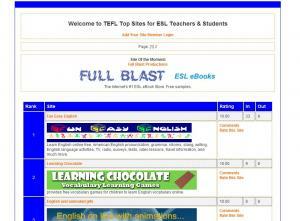 The site is updated constantly and it refers visitors to lots of other high-quality, free English learning sites and resources. 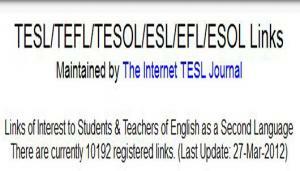 Links of Interest to Students & Teachers of English as a Second Language. A free web-based platform designed for K-12 students, parents, and educators, with access to FREE games, videos, and interactives. Students can use thousands of activities, join classes, track assignments, and see how their friends are doing while Educators can explore activities, search by Common Core standard, build classes, and monitor assignments. 65+ Lessons for English language students based on popular English and American movies. 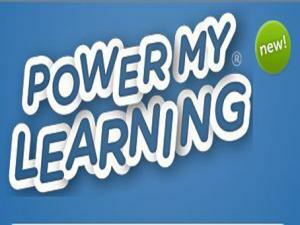 Includes handouts, MP3 downloads and quizzes.